Staristix(tm) technology consists of wide area motion imagery acquisition systems and viewers. SoftServ International from Boston develops Wide Area Sensing solutions for surveying large areas of the city from high above. 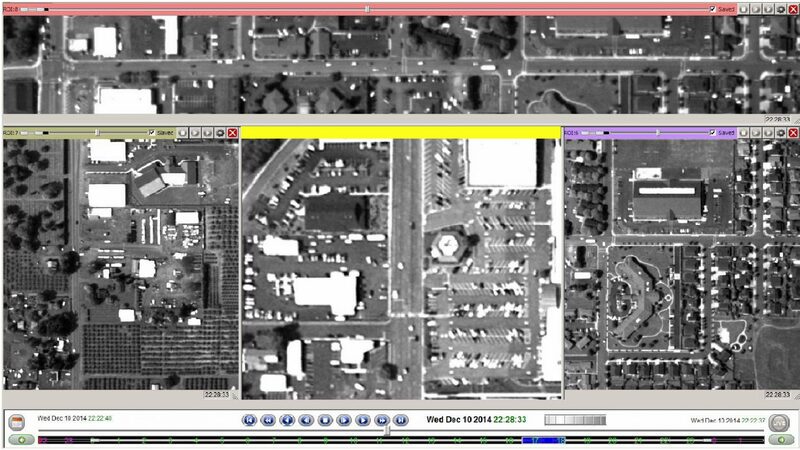 The vision system detects and tracks hundreds of moving people and vehicles, alerts about unusual activity and records the image data for later analysis. Such systems are employed in surveillance and security, law enforcement, but also for rescue missions on disaster sites, and for smart city applications where cars, trains and airplanes communicate with the city infrastructure. The low-light sensitive high-resolution ace U with the STARVIS sensor IMX226 turned out to be the perfect match for the newest StareServer 1. The system acquires image data at high resolution, performs video analytics in real time, streams multiple regions of interest, and stores 24 hours of data. Parallel to that, it allows rewinding and rewatching the acquired imagery. Read more in our Success Story and find out more about this innovative application.